170 Marlborough is located on the south side of Marlborough, between Dartmouth and Exeter, with 168 Marlborough to the east and 172 Marlborough to the west. 170 Marlborough was built in 1874-1875 for dry goods merchant Eben Jordan (founder of Jordan, Marsh & Co.), one of six contiguous houses (166-168-170-172-174-176 Marlborough) built for him between 1874-1875 (166-168-170-172 Marlborough) and 1876-1877 (174-176 Marlborough), designed as three symmetrical pairs of houses. Click here for an index to the deeds for 170 Marlborough. On May 4, 1876, 170 Marlborough was purchased from Eben D. Jordan by Ellen (Bennett) Holden, the widow of George Holden. She and her husband had lived at 13 Allen Street at the time of his death in February of 1876. She continued to live at 170 Marlborough until her death in September of 1896. On January 7, 1897, 170 Marlborough was purchased from Ellen Holden’s estate by Louisa Goddard (Gould) McMurtrie, the widow of Horace McMurtrie, an engineer and machinery agent. Their daughters, Lucretia Ellis McMurtrie and Mary Gould McMurtrie, lived with her. Lucretia McMurtrie married in November of 1900 to Henry Sturgis Bush. After their marriage, they lived in Brookline. Louisa McMurtrie continued to live at 170 Marlborough until her death in April of 1905. 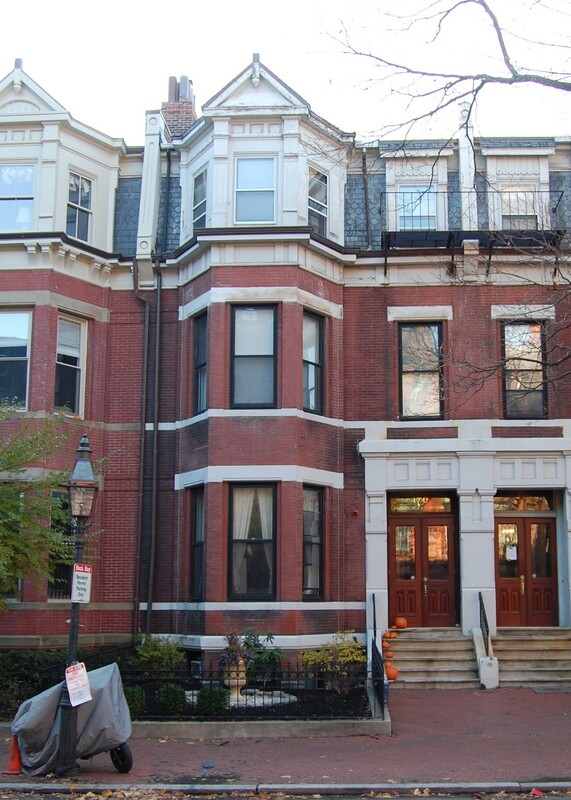 After her mother’s death, Mary McMurtrie continued to live at 170 Marlborough. During the 1906-1907 winter season, she was living elsewhere and 170 Marlborough was the home of cotton broker and manufacturer Charles Bean Amory and his wife Lillie (Clapp) Amory, and their son, John Austin Amory. In 1905, they had lived in Milton. They had moved to 178 Marlborough by the next season. By the 1907-1908 winter season, Mary McMurtrie was living at 170 Marlborough once again. 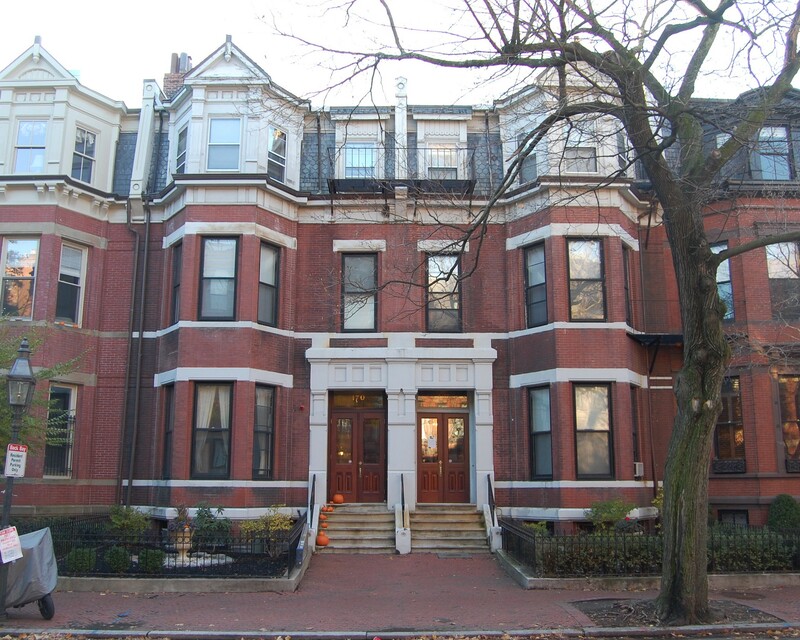 In January of 1908, she married architect James Cleveland Hopkins, They lived at 170 Marlborough after their marriage and also maintained a home in Dover. 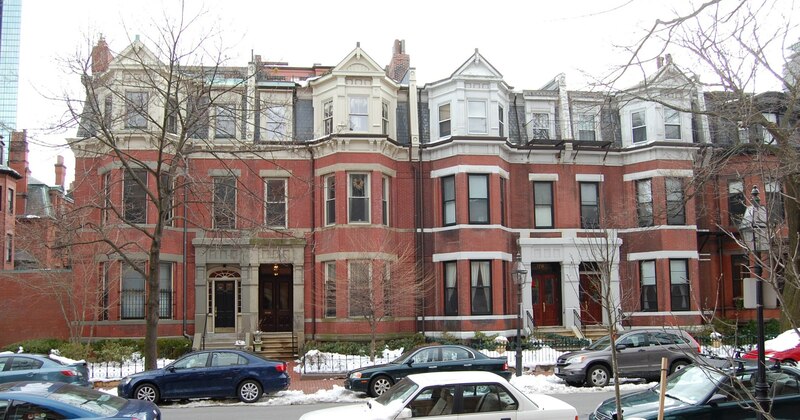 On June 5, 1911, Mary (McMurtrie) Hopkins acquired her sister’s interest in 170 Marlborough. The Hopkinses continued to live at 170 Marlborough during the 1912-1913 winter season, but moved soon thereafter and by 1915 had made their Dover home their primary residence. During the 1913-1914 winter season, 170 Marlborough was the home of Mrs. Sarah Moody (Cushing) Toppan, the widow of attorney Robert Noxon Toppan, and her sister, Fannie E. Cushing. They had lived at 167 Marlborough during the previous season. 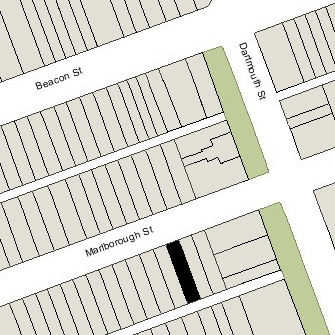 By the 1914-1915 season, they had moved to Cambridge, where they had lived before moving to 167 Marlborough. 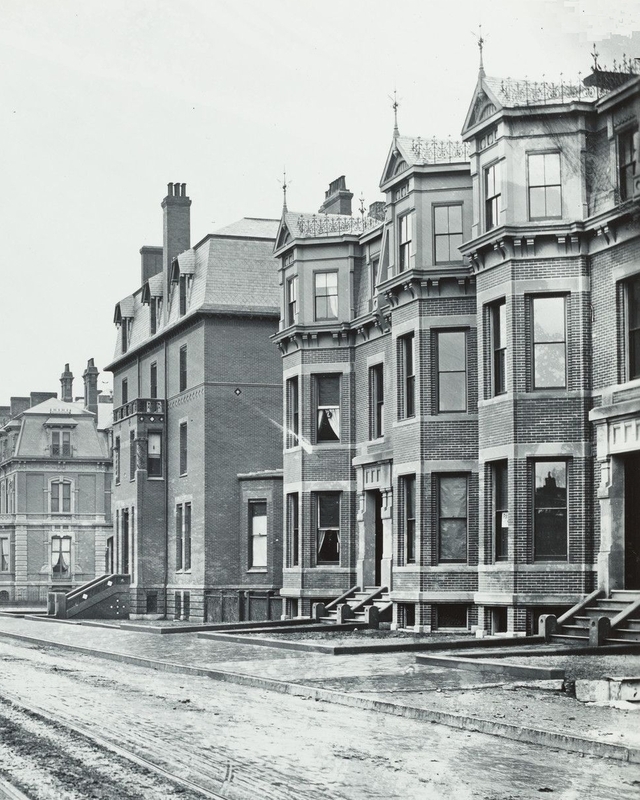 By 1915, 170 Marlborough was the home of John H. Thomas, manager of the Boston office of the White Star steamship line. He had lived in apartment at 199 Marlborough in 1914, and at 304 Marlborough in 1913. By 1916, he had moved to 336 Marlborough. On March 25, 1916, 170 Marlborough was purchased from Mary Hopkins by Eleanor P. (Jewett) Allen, the wife of Charles Watson Allen,. They previously had lived at 41 Chestnut. Charles Allen was president of Little, Brown & Company, publishers. Eleanor Allen died in May of 1924. Charles Allen continued to live at 170 Marlborough until his death in November of 1926. On April 1, 1927, 170 Marlborough was purchased from Charles Allen’s estate by Navy Commander Robert Traill Spence Lowell, III, and his wife Charlotte (Winslow) Lowell. Their son, Robert Lowell IV, who would become a distinguished poet and playwright, lived with them. They previously had lived at 91 Revere. The Lowells continued to live at 170 Marlborough until about 1949. He died in Beverly in August of 1950. On June 16, 1949, 170 Marlborough was purchased from the Lowells by Frederick Leopold William Richardson, Jr., and his wife, Helen (Warren) Richardson. Frederick Richardson, Jr., was an organizational anthropologist and lecturer at Harvard. He was the son of architect Frederick L. W. Richardson of the firm of Richardson, Barott, and Richardson, and the grandson of architect Henry Hobson Richardson. The Richardsons continued to live at 170 Marlborough until about 1953. On June 22, 1953, 170 Marlborough was purchased from the Richardsons by Dr. Philip Edwin Adams and his wife, Ethel Marie (Sanford) Adams. They previously had lived at 346 Marlborough. Dr. Adams was a dentist and also maintained his dental office at 170 Marlborough. They continued to live at 170 Marlborough in 1965. On January 8, 1966, 170 Marlborough was purchased from the Adamses by real estate dealer George P. Demeter. By 1967, 170 Marlborough had been remodeled into six apartments. On May 6, 1975, George Demeter transferred the property to himself as trustee of the Demeter Realty Trust; on March 14, 1996, he transferred it to the Yia Yia Realty Limited Partnership (the general partner of which was one of George Demeter’s affiliated companies); and on January 2, 2007, it transferred the property to the Alexandra 170 Marlborough Limited Partnership (the general partners of which was another of George Demeter’’s affiliated companies). 170 Marlborough remained an apartment building, assessed as a four- to six-family dwelling, in 2014.